An unnamed institutional investor has outlaid $33 million for two industrial facilities in Sydney and Melbourne as demand for industrial investment property outstrips supply in Australia’s leading capital city markets. The Blacktown and Sunshine North properties were picked up in an off-market deal by the private Melbourne investor, on a blended yield of below six per cent. The Sydney site, at 46 Bessemer Street, comprises a 10,220sq m building located on a 32,268sq m land parcel. The Blacktown property is leased to Valspar, with three years remaining of a 12-year term, on a net rental return of $1.255 million a year. The Melbourne site, at 323-325 St Albans Road, spans just over 10,000sq m of building area on a 4.5 hectare site. The Sunshine North property is leased to Bluescope with a remaining lease term of 6.3 years at an annual rental return of $773,000. Dawkins Occhiuto director Chris Jones along with Colliers International’s Gavin Bishop brokered the industrial property deal. Jones said the assets were purchased to complement a diversified industrial portfolio with an emphasis on location and solid tenancy profiles. “The properties are also located in very well established industrial areas with excellent access to key road networks and offer strong underlying land value and growth prospects,’’ Jones said. Lack of quality industrial stock in both cities, particularly Sydney are offering additional tenancy security, Jones explained. The latest Herron Todd White commercial report said demand levels generally remain strong in Sydney's market, particularly well-located industrial precincts with good connectivity to major transport routes, including suburbs Liverpool, Campbelltown, Parramatta, Blacktown and Penrith. Similarly, the report identified Melbourne's industrial market as strong throughout 2018, thanks to low interest rates and a relatively stable economy. The Herron Todd White report identified Melbourne's "growth corridors," where there is an abundance of vacant land prime for development, including suburbs such as Dandenong South and Pakenham in the south-east, Truganina and Derrimut in the west and Epping in Melbourne's north. 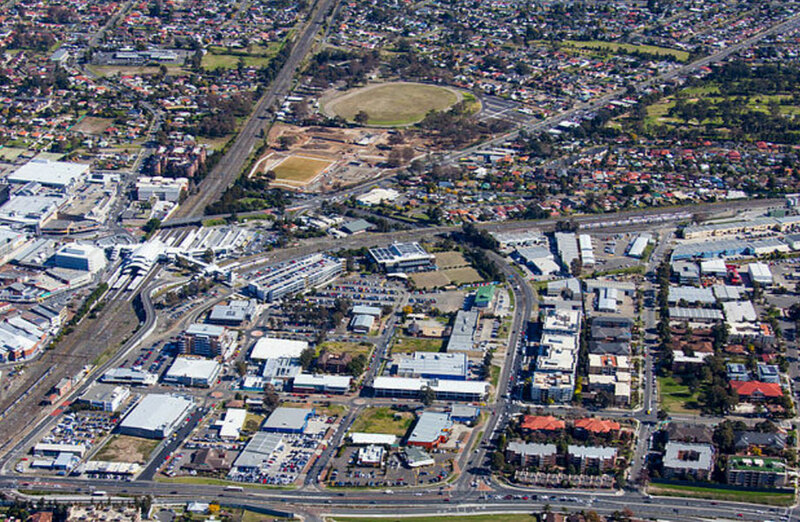 Main image: Aerial shot of Blacktown, Sydney.